The key differentiator for Business Today's survey, compared to some other surveys of this nature, still remains that Business Today does not reach out to companies per se for participation. This is the 13th edition of the annual Business TodayBest Companies to Work For in India Survey. This year, we continued our partnership with PeopleStrong HR Services, which conducted the survey and analysed the data, and associated with job portal Naukri.com for its database and its expertise to get targeted respondents for the survey. The basic purpose of the survey is to understand the perceptions and aspirations of India's employees across industries. It also aims to provide feedback to companies on what the marketplace thinks about them, what factors are considered important, what factors attract people, what factors demoralise people, etc. Hence, the key differentiator for BT's survey, compared to some other surveys of this nature, still remains that Business Today does not reach out to companies per se for participation. The logic is that if companies were to choose the employees who would respond to the survey, it might introduce an element of bias in the process, though not necessarily for all companies. This bias would exist even if the surveyors - BT and PeopleStrong, in this case - randomly chose the final respondents from a pool of names given by individual companies. The respondents reached were contacted through Naukri.com's database, independent of their employers' channels, ensuring an unbiased study. This year's survey was conducted between January 24 and April 11, 2014. The use of Naukri's database allowed us to achieve an even spread of respondents across types of companies, cities, age and experience brackets, etc. To start with, Naukri divided its active database into multiple datasets or panels based on two filters - sector and work experience. Ten sectors were targeted, and five work experience brackets, which resulted in 50 datasets. Four million people across these datasets were sent targeted mailers by Naukri specific to the sector they work in and their work experience. This approach automatically introduced the first level of quality check because a respondent would get a questionnaire specific to her sector and work experience. This time, BT also sought the participation of employees beyond Naukri's database - through our website. In all, about 30,000 respondents came to the survey page, of which 13,369 filled out the questionnaire. After scrutiny and cleaning, a final reportable sample of 13,364 respondents was achieved, of which eight per cent were women. 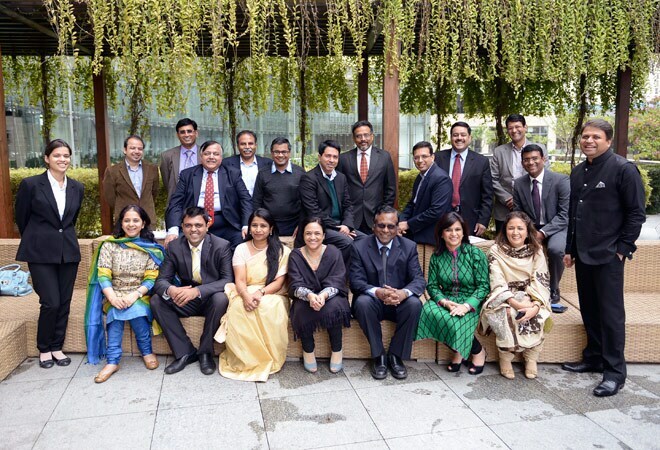 Delhi jury: (Front L-R) PeopleStrong's Anshika Jhunjhunwala, Shelly Singh and Ankur Sehgal, Max Healthcare's Malvika Varma, Aircel's Rachna Mukherjee, Max India's P Dwarakanath, American Express' Jyoti Rai, Schneider Electric's Shalini Sarin, PeopleStrong's Pankaj Bansal; (Back R-L) ABB's Raja Radha Krishnan, Genpact's Amit Agarwal, Cadence Design Systems' Sunil Pathak, Ericsson India's Sameer Khanna K, Birlasoft (India)'s Subrat Chakravarty, Microsoft's Rohit Thakur, Wipro BPO's Ayaskant Sarangi, Quatrro Global Services' Alok Narain, Tata SIA Airlines' Varadarajan Srinivasan, Naukri.com's V Suresh and Business Today's Suveen Sinha. Overall, the respondent base this year includes a hefty chunk of 78 per cent people that are actively into professional life from age 24 to 45, and from more Indian companies. Due to the larger survey panels, which had a better geographic spread, we have achieved a better representation of the Indian urban corporate employee base this year. Data authenticity was further ensured in two ways - a) the questionnaire design itself had built in verifications that rejected responses with contradictory/ incomplete information and b) a verification back check of about 10 per cent of the accepted responses. PeopleStrong's team then constructed a ranking of companies and an analysis of various aspects that go into making a company a great place to work in. There is one significant change in this year's methodology. Last year, we had introduced a second layer in the survey - assessment of key HR metrics of the companies that were ranked by employees within the Top 25 overall rankings, and Top 10 in each sector. These metrics complement the variables that an employee experiences. 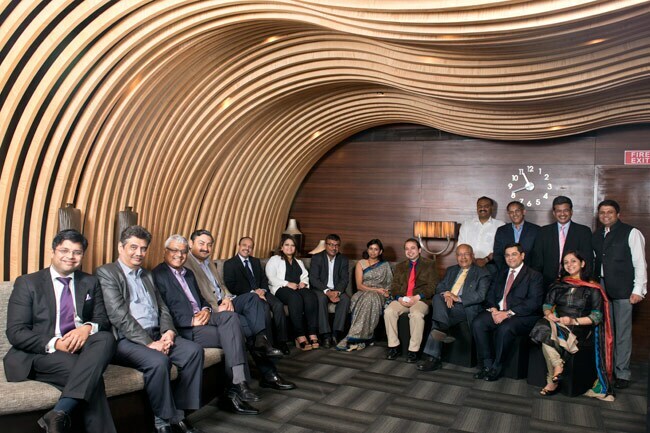 However, the HR heads who participated in our panel discussions (see pictures) held in Delhi and Mumbai strongly felt that introducing metrics in this survey dilutes the purity and thrust of the study. Given their unequivocal verdict, we dismantled the second phase of the survey. For the overall rankings, respondents are asked to rank five companies - across industries - which in their opinion are the best companies to work in. Then, they rank the top three companies on six specific factors - career growth prospects, financial compensation, work-life balance, performance evaluation, stability, and other HR practices. The same approach was used to get respondents to rank companies within their sectors. The overall and sectoral rankings were computed separately, but using the same methodology. Rank 1 has higher weight as compared to Rank 2, and so on. This difference is implemented by using the 90 per cent rule, wherein Rank 2 gets 90 per cent of the weight as Rank 1, and Rank 3 gets 90 per cent of the weight given to Rank 2, etc. Once rank scores were computed, the top-ranked company was given an index score of 100 and the scores obtained by the other companies were indexed to the score of the top-ranked company. The respondents were also asked some questions that were not included in the ranking exercise, such as whether their senior management adhered to companies' laid-down ethical standards, satisfaction with one's boss, etc. Despite the increased robustness of the survey, we are not being complacent. As always we want you to watch out for some nifty changes next year!